As The Magnetic North return to the town that inspired their sophomore album, Getintothis’ Craig MacDonald finds much to get excited about. 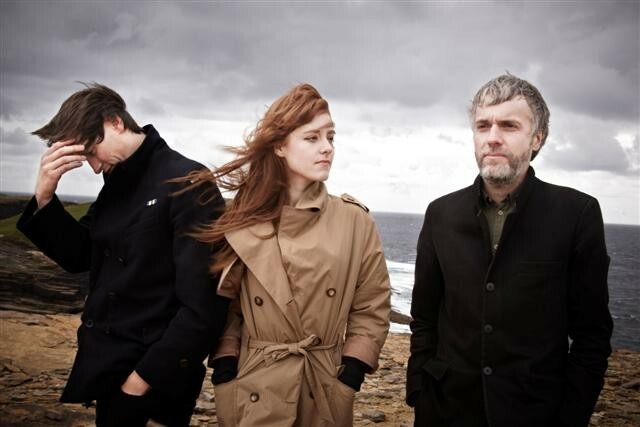 Acclaimed folk trio The Magnetic North will be making a much anticipated homecoming of sorts this May, when the group play Skelmersdale E Rooms on May 6 following in support of their acclaimed second album Prospects Of Skelmersdale. Having been inspired to write their first album Orkney: Symphony of The Magnetic North by Erland Cooper’ island childhood home, the Lancashire town and one time home of Simon Tong was the groups inspiration on their latest release. Remember when the Mercury Music Prize Winners played Skelm Library? You can here. From growing up in Skelm in the 80’s, the former Verve man and his band mates set about creating the feeling of hope that many forget exists in them parts. It’s a steep departure from the sound of their debut with a vibrancy throughout that reflects Tongs upbringing brilliantly. Not content with capturing the town sonically, the group have used images of Skelmersdale taken by photographer Stephen McCoy to further embrace the bond between the two. Joining the group on the night will be We Are Catchers fresh from wowing SXSW and local favourites Cat Called Dog. With the gig in may further cementing their relationship, it will be a night that will live log in the memory of many in this neck of the woods.